The Rainforest Alliance recently announced the Ag-tech developer challenge – a call to engineers and developers to find innovative ways to use remote data sensing technology to aid farmer initiatives on the ground. We are pleased to report an overwhelming response to the call for proposals. This new technology will prove especially beneficial to smallholder farmers because, while demand for cocoa is higher than ever, smallholder farmers face persistent poverty, due in part to declining yields and ever-mounting threats from climate-related pests, plant diseases, and changes in weather patterns. 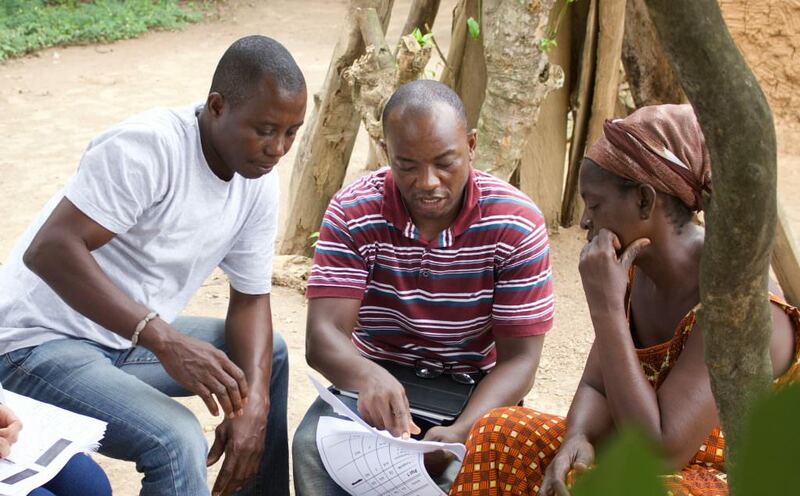 Unfortunately, very few farmers receive timely information, training, or coaching that could help overcome these challenges. The Rainforest Alliance, along with other partners, created SAT4Farming, an initiative that employs digital technology and satellite imagery to create digital individualized Farm Development Plans (FDPs) that guide farmers over a seven-year period. To make these FDPs more precise and deliver them to even more farmers, Artificial Intelligence (AI) and remote data sensing technology presents a real opportunity. Through remote sensing, deforestation in protected areas can be tracked. Farmers in the US, Europe and Australia are already using remote sensing to conduct ‘precision agriculture’, which essentially means that farmers are able to optimize their returns on inputs while using less resources. Further, remote sensing also enables farmers to identify pests and diseases in a very early stage (sometimes even before they occur by identifying pest and disease prone areas) and use pesticides and fungicides in a targeted way to deter them. “We believe that digital technology and remote sensing can benefit the whole supply chain, bringing more efficiency, credibility and value to farmers small and large as well as sustainability-minded companies,” says Daan de Vries, Chief Innovation and Technology Officer of the Rainforest Alliance. This tech challenge is an example of why UTZ and the Rainforest Alliance are proud to have merged. Combined with our other technology initiatives, we are able to become more innovative and impactful together, with a wide array of benefits including increasing yields for more farmers on the ground while reducing the negative impact on the environment. The competition is now closed and we are happy to share that we saw a great interest from companies in joining the challenge. Thanks to all who submitted their proposals! The submissions are being evaluated by a high-profile panel that includes Ed Parsons, Geospatial Technologist of Google; Kim Frankovich, Vice President Cocoa Sustainability of Mars Inc.; Farouk Nyame, Technical Manager of the Cartography Unit in the Ghana Cocoa Board; and Daan de Vries, Chief Innovation and Technology Officer of the Rainforest Alliance. A prize of €100,000 ($115,000) and another of €75,000 ($86,000) will be awarded for the proposals chosen for implementation, but all ideas are being entertained for possible future consideration by the Rainforest Alliance. We will report back on the prize-winning proposals, so stay tuned for more.